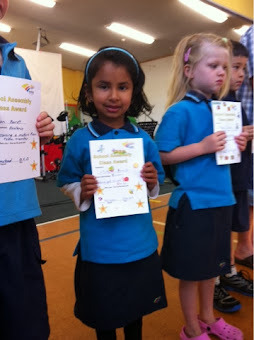 Well done Kristy for receiving our class certificate in school assembly. You work very hard in class and have had a great start to school. We also saw a performance by a man who will be taking drum lessons next year at Arahoe. The final exciting item in assembly was by a middle school class who performed "What does the fox say".